A grateful nation can thank those who have stopped Trump from creating an existential crisis for the country, remaining at their stations while managing a collection of lesser gaffes. Every damning and depressing detail in Bob Woodward’s new book, “Fear: Trump in the White House,” is made more damning and depressing by the fact that the abhorrent behavior chronicled in crisp detail will come as no surprise to anyone who has served President Donald Trump in the West Wing, or carried his political water on Capitol Hill. Woodward’s book confirms what has been whispered in elite Washington circles since the earliest days of this administration: that the “adults” had a pact with each other to stay in the government as long as possible to prevent the president from destroying critical international alliances, undermining constitutional norms and initiating military conflicts that would have proved both illegal and unwise. Two of the more notable moves made by this avenging band of bureaucrats as reported by Woodward? Quietly spiriting away a piece of paper from Trump’s desk that would have undermined an important free-trade deal with South Korea, and ignoring a reckless order to assassinate Syrian dictator Bashar Assad. For those anxious for Mueller to end this misery, here is a reminder: The Trump presidency can be expected to end in one of five ways: resignation, impeachment and removal by Congress, removal via the 25th Amendment, defeat in reelection, or the conclusion of a second term. That leads to two take-aways from Woodward’s book, one depressing and one heartening. The depressing truth is that any of these five exits — including a half-dozen more years of this extra-constitutional horror show — are possible. 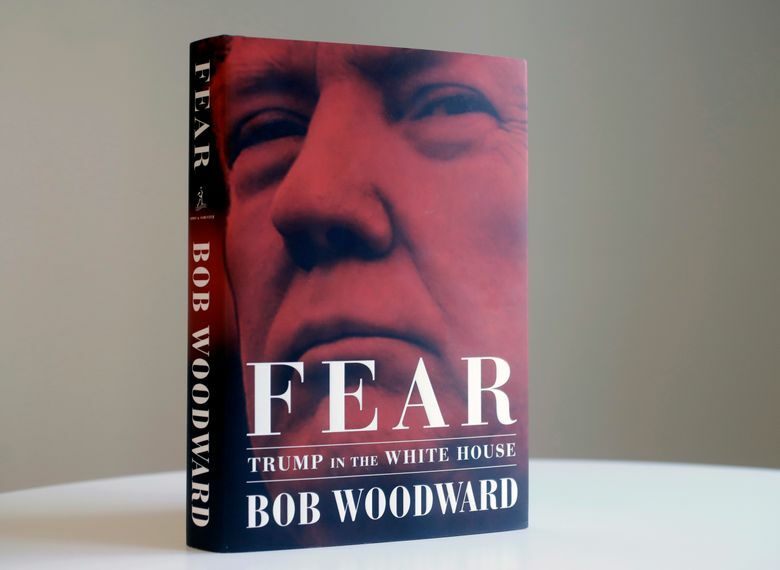 The more heartening message from “Fear” is that we still have institutions and individuals, including Bob Woodward, who will continue checking the most destructive instincts of Donald Trump. Joe Scarborough is a former Republican congressman from Florida, hosts the MSNBC show "Morning Joe" and is a Washington Post columnist.